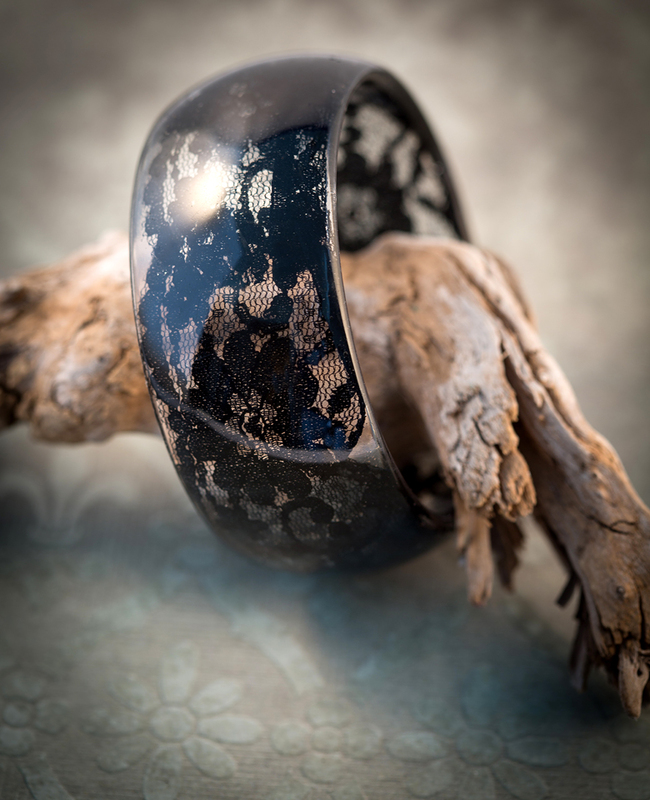 One of the new projects in the book is a resin bangle with an insert of lace. I cover how to ensure that you’re cutting your lace to the right size, how to get the lace into the mold and how to pour with no worries about bubbles. From there, the book covers how to trim, sand and finish the bangle to perfection. The same skills can be apple to using any fabric insert. Of course, the supplies section in the book also covers what you need, and where you can get it. I have recommended, online suppliers for everything you would need to complete the project, including resin and silicone bangle molds. Those are just lovely Shireen! I’m so impressed! I can hardly wait and I’m so excited! 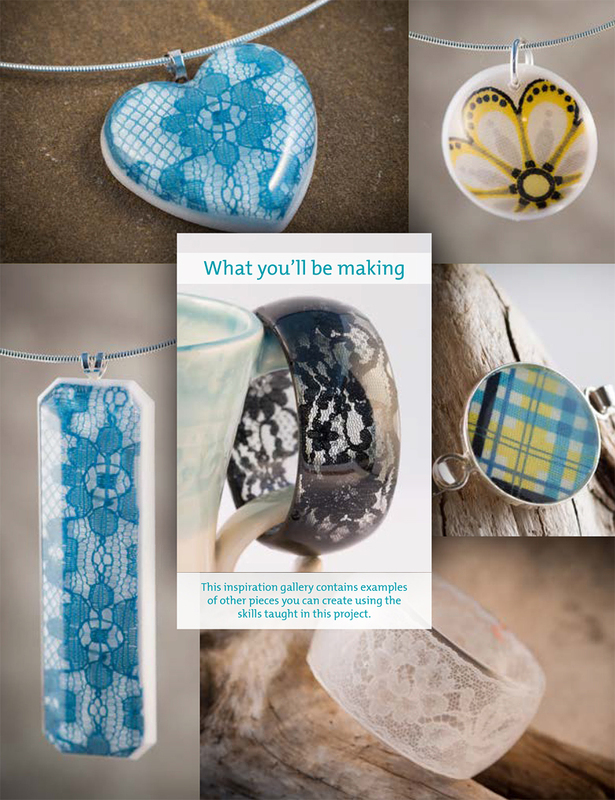 What a wonderful idea, using lace to make a back-drop for the resin!